Billy Kidd talked to Paul Stanley of KISS about his new book, ‘Face The Music: A Life Exposed’, and in the interview Paul talked about his fans, what he thinks of the Rock and Roll Hall of Fame, and of course why he wrote the book. “How we influence or help other people is probably the most rewarding…and when you have people coming to offer you and saying you’re part of the reason they’re doing what they’re doing…That’s been terrific and that’s part of the reason I wrote ‘Face The Music’,” Stanley said when talking about what inspired him to write a book. 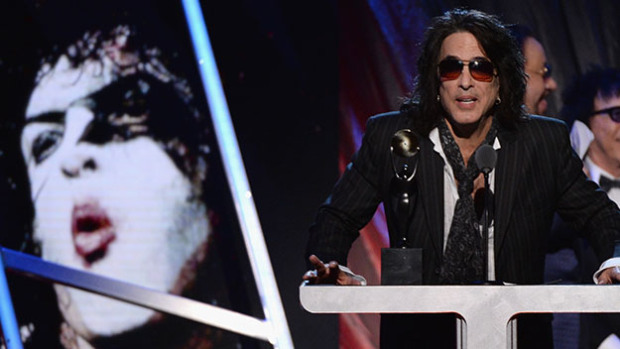 Adding,” I wanted to write a book that could inspire people in their own lives…and break down some of those misconceptions about who I am and what success gives you.” Stanley says that he wrote this book not just for KISS fans, but for everybody.